Chitkara University regularly invites experts/practitioners from the software community to share experiences, insights and opinions, with our students, on the technological innovations driving modern businesses. 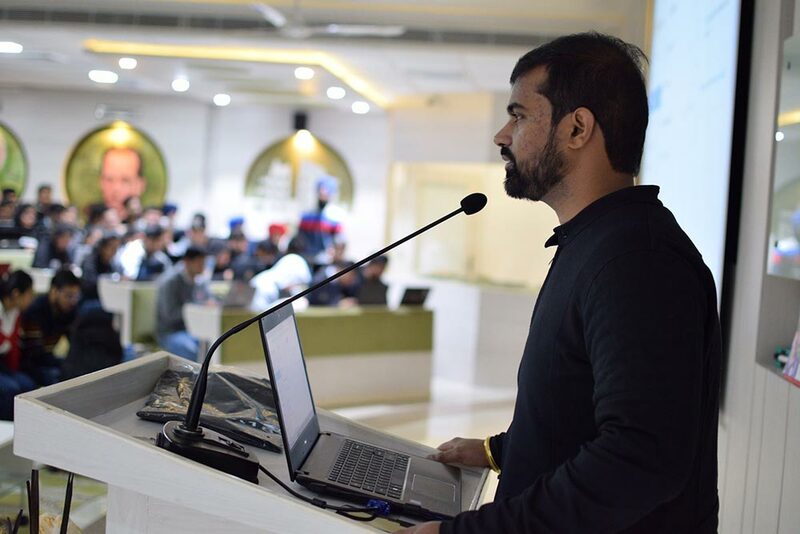 Continuing the learning, Developer Student Club (DSC) of Chitkara University, Punjab, organised a workshop ‘Development Days’ inviting Industry Experts in association with GDG Chandigarh, to deliver Tech Talks on Google Technologies such as ‘Actions on Google’ and developing Chatbots with the help of Dialogflow. The workshop was conducted by Mr. Kamal Vaid (GDG Organiser, Chandigarh), Ms. Pooja Guleria (System Engineer, Infosys) and Mr. Harinder Singh (Software Engineer). Following the interesting and engrossing talk by experts, students were introduced to ‘Hands-on Code-Labs’ where they not only learnt to code but also learnt to publish their ‘Actions on Google’.